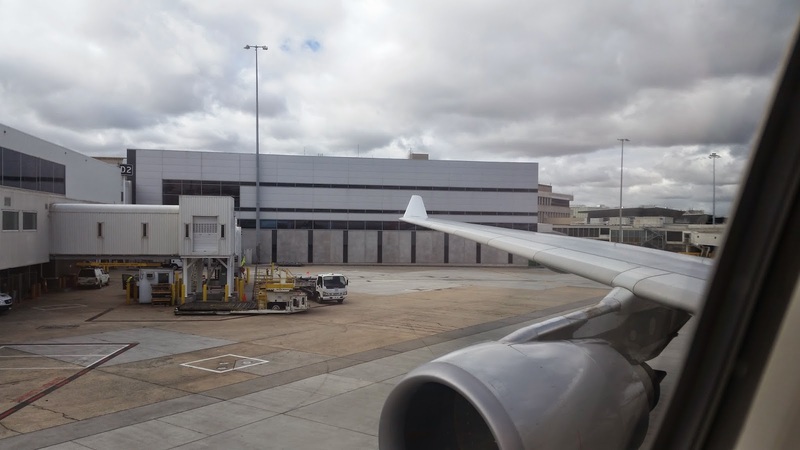 I recently needed a fairly last minute flight out of Melbourne to S.E Asia and as it was the beginning of Easter school holidays in Melbourne, the flights were quite heavily booked. However Jetstar still had a reasonable offer of $399 one way in economy class on their Singapore route which I decided to purchase. 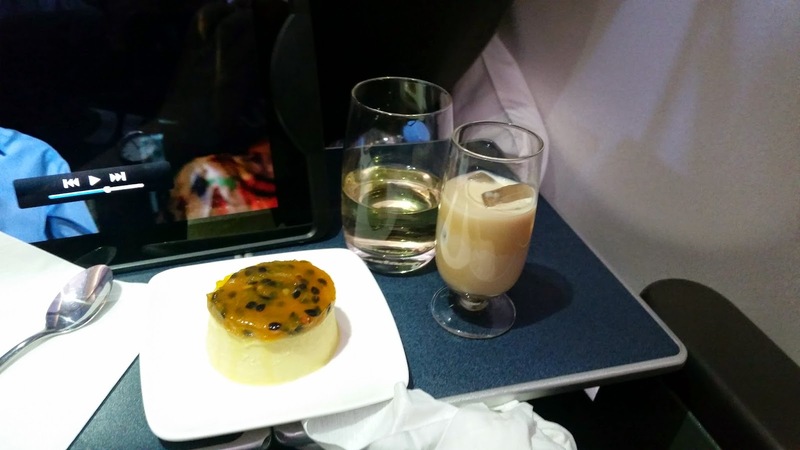 I normally try to avoid LCC's in economy on flights more than about 4 hours but on this occasion I was fairly price conscious and using points for business class on a major carrier was not an option either. 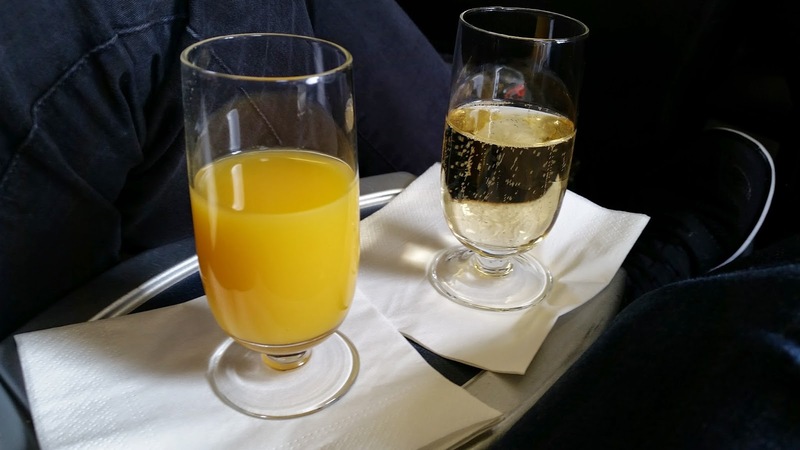 Fortunately 7 days before the flight came an email offering an upgrade for $180 to business class, or for $230 to business max (which includes Qantas frequent flyer points and status credits, plus lounge access if you don't have that already). I snapped it up pretty quickly and my partner and I ended up in 4J and 4K at the front of the bus, instead of up the back. 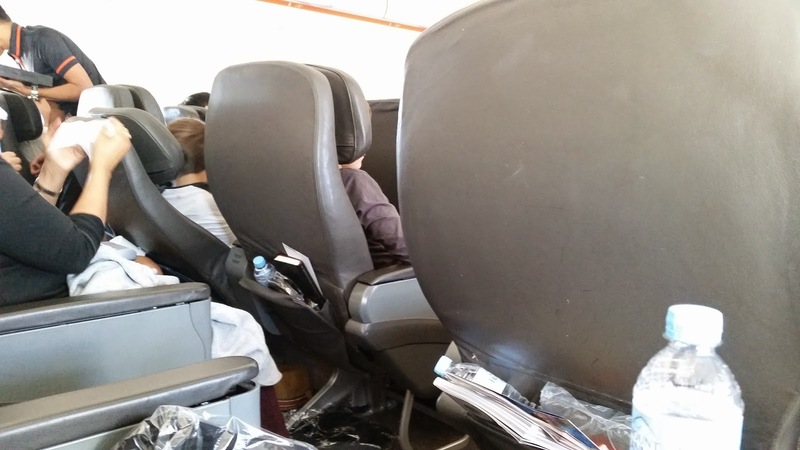 I was excited to try Jetstar business class as I had read online that despite the poor seat the service had been significantly upgraded since I last flew on this product when it was called 'Starclass'. 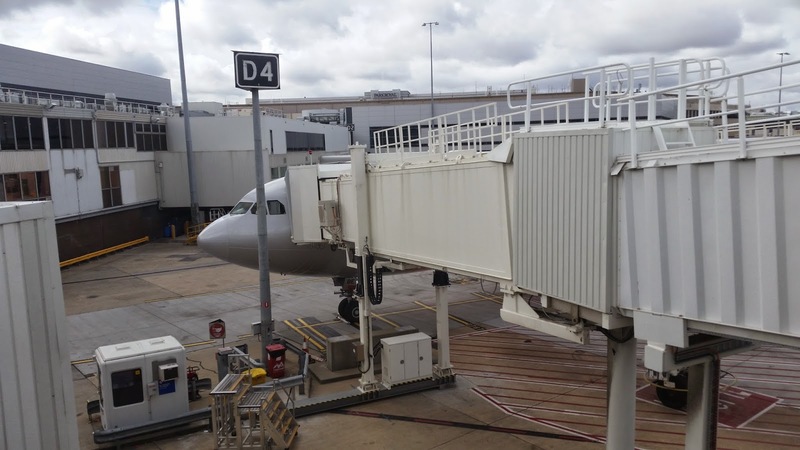 With a noon departure scheduled I arrived at the airport at 10am and was checked in quickly at the priority counter by a woman who whilst not really rude, was fairly nonchalant. Unfortunately no priority security/customs pass was provided, but luckily I have a supply of them in my passport wallet so I used an old Qantas one and managed to avoid the queues. 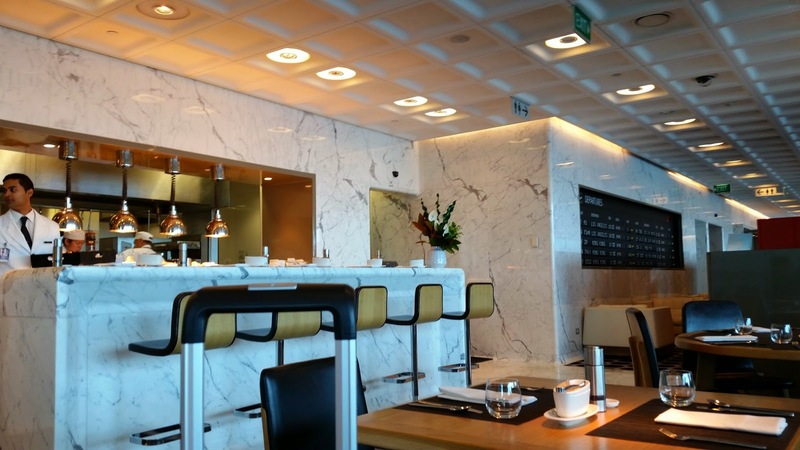 By 10.25am I was in the luxurious surrounds of the Qantas First Class Lounge - a perk that Qantas frequent flyers get to enjoy when flying with Jetstar, the LCC subsidiary of Qantas. I headed to the spa first and made an appointment for a 20 minute men's facial at 11am, that left about 30 minutes to have breakfast in the restaurant. 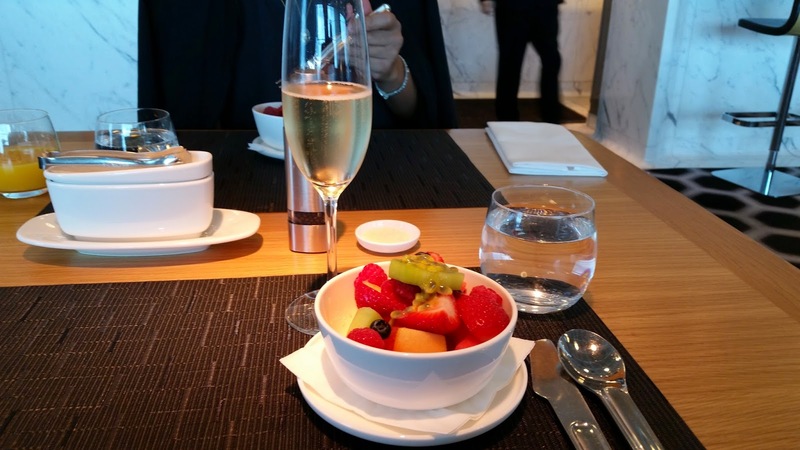 I ordered a Taittinger champagne, fruit salad and the corn fritters (with poached eggs added). I told the waitress I was a little short on time and she made sure the food came out nice and quick, in fact it only took a few minutes. Fantastic service, and delicious food! At 11am and with breakfast done, it was time to head to the 'Aurora Spa'. 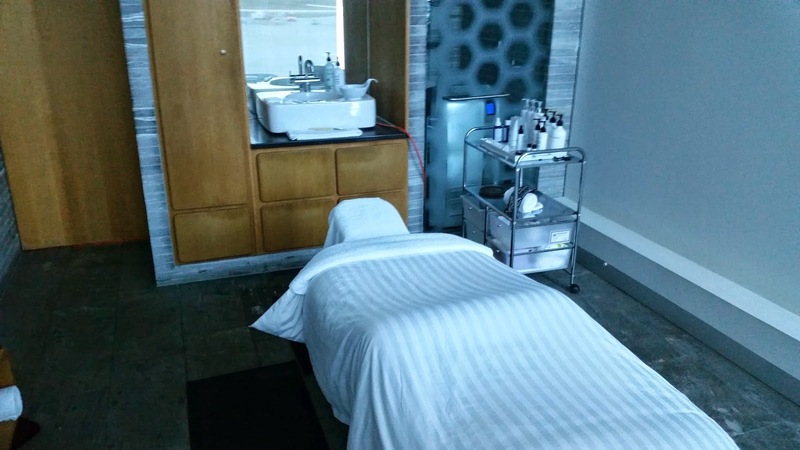 The staff were wonderful and friendly and I thoroughly enjoyed my spa experience. It's the first time I've been there since it changed over from the Payot brand last year. Not much has really changed other than the products they use and some of the treatments. At 11.25am I exited the spa feeling refreshed and headed for the bar for another glass of Champagne. Ten minutes later boarding was announced for JQ7 to Singapore from Gate 4. I diligently headed to the gate only to find a crowd of people and nobody boarding. I don't understand how they can get this wrong, why call the lounge to advise boarding has commenced when it clearly HAS NOT? I expect to leave the lounge and wander directly onto the aircraft, but instead on this occasion I had to stand around for about another 10 minutes. Eventually priority boarding was announced for those in business class and I headed down the jetway. Today's service was operated by A330-200, VH-EBE. 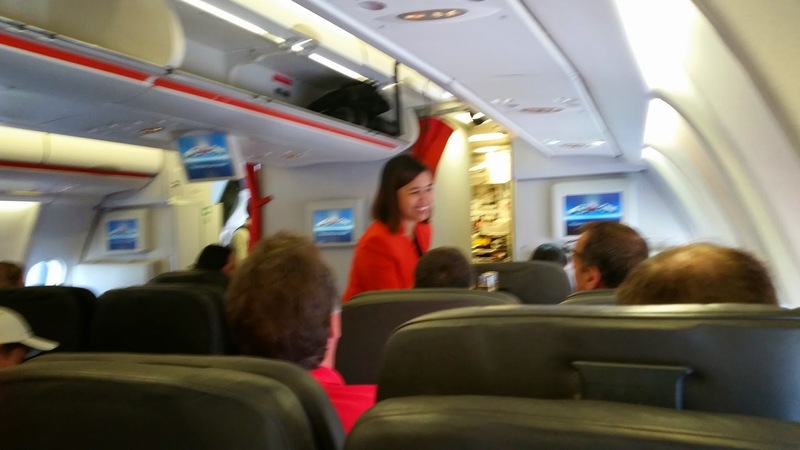 At 8 years old she is about to end her service with Jetstar and be transferred back to Qantas, the original operator. Once there she will mostly spend her time going to and from Perth. 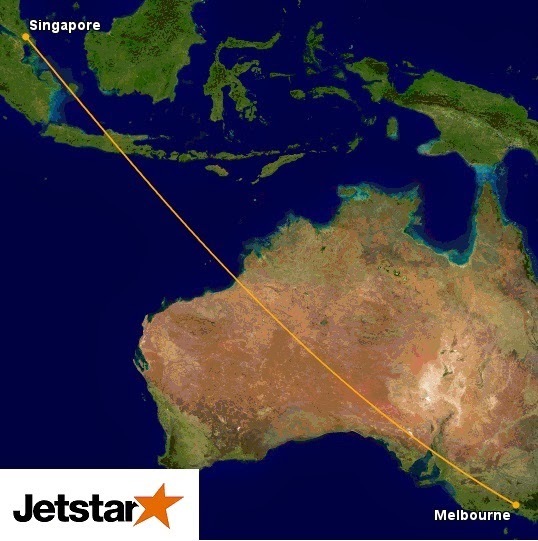 Soon Jetstar's long haul division will only operate the Boeing 787-8 and this route will switch to that aircraft type. That will mean less chance at a cheap upgrade since the 787 only has 21 business seats compared to 38 on the A330. We were welcomed on board by the multi national crew, on my side was a lovely Japanese lady who looked after us very well throughout the journey. Once seated we were offered a welcome drink and I had a lovely sparkling wine. Noise cancelling headphones, a menu, blanket and an amenity kit were all provided. The amenity kit doubles up as an ipad case that you can keep, and it contained ear plugs, toothbrush, toothpaste, lip balm, moisturiser, socks and eye shade. It's a decent kit and as good as or better than some legacy carrier's business class kits. 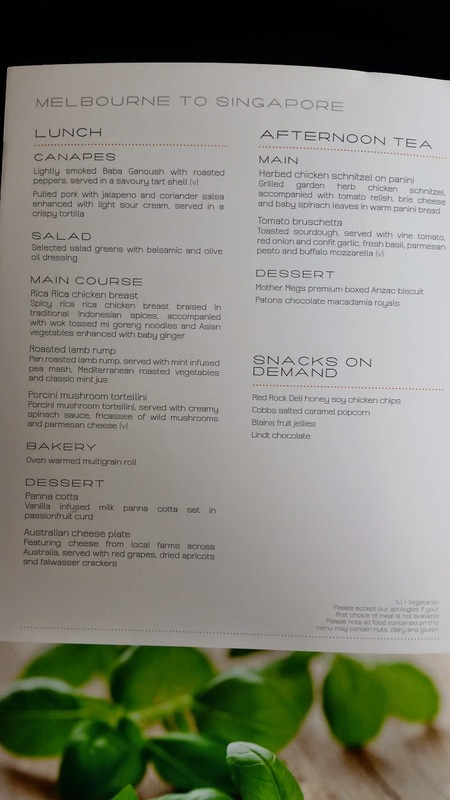 I was very impressed with the menu and other products offered, even though the seat is not a true international business seat. It's a basic recliner with leg rest and only 38 inches of pitch, quite tight really. 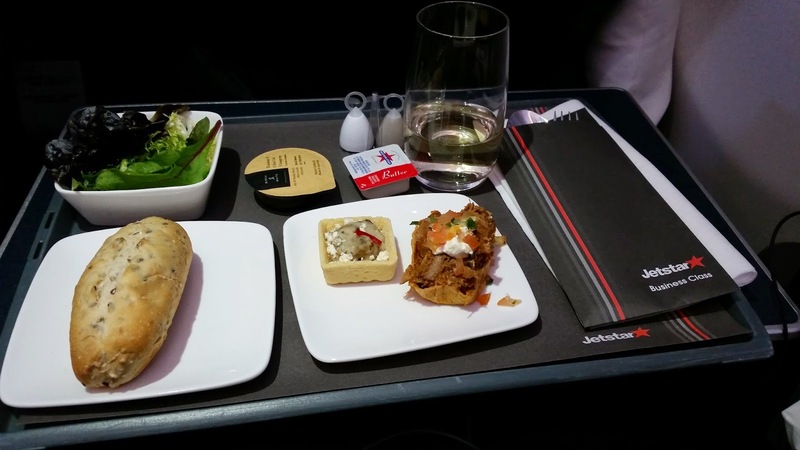 It's basically what Qantas offers on domestic business class. For this daytime flight it's quite reasonable and I actually managed a 4 hour sleep, although I was incredibly tired after working the whole night prior. We pushed back at 12.32, that was 32 minutes behind schedule. The departure was from Runway 16 towards the south. When the seat belt sign was turned off the crew came around and handed out a bottle of water to all passengers. 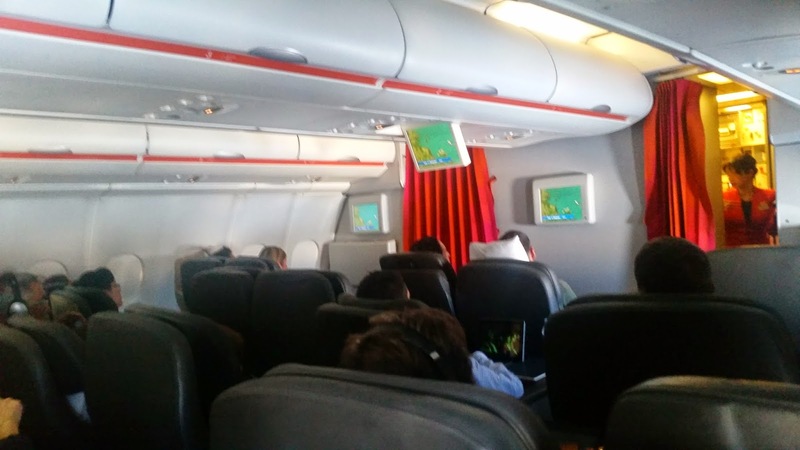 They also provided an iPad to all business passengers loaded with a reasonable selection of TV shows, music, games and movies. These iPads will not be required once the B787 takes over the route, as they have built in screens for entertainment. Trying to rest the ipad on the tray table during meal times is next to impossible and very awkward, so I look forward to the 787 with it's built in system. The overhead LCD screen displayed the airshow moving map display so you could keep updated on where you were and how much of the flight remained. 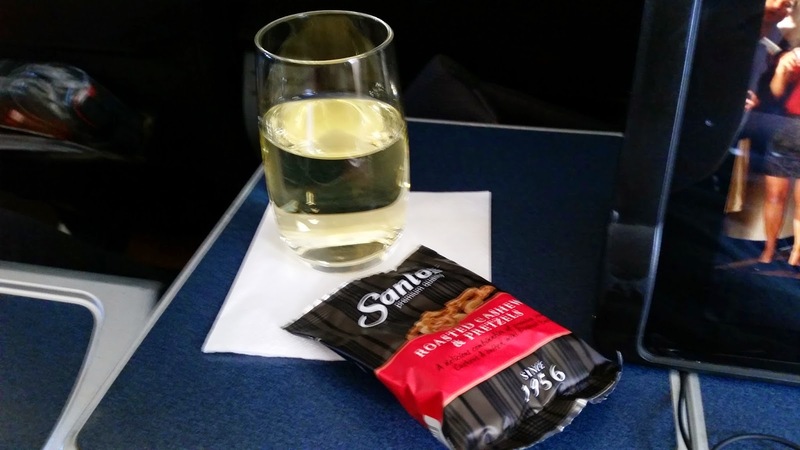 The lunch service commenced pretty much straight away, unfortunately the wine menu was not loaded on this flight but I was offered a choice between a chardonnay or a sauvignon blanc for the white. I took the chardonnay and it was lovely, unfortunately I have forgotten which label it was. 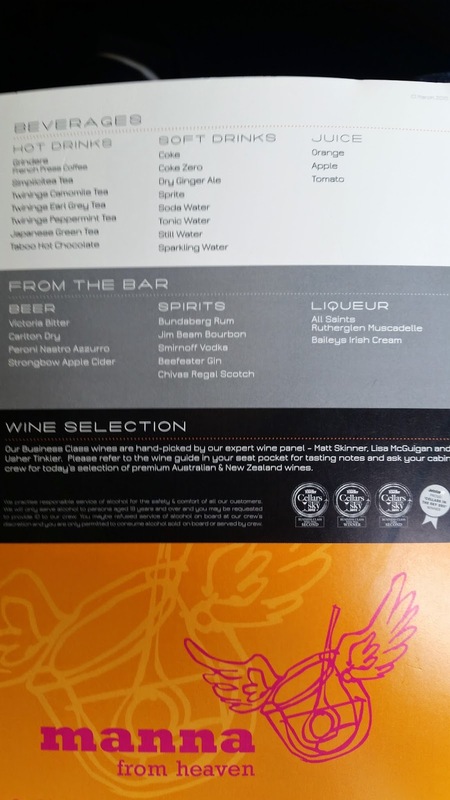 Apparently Jetstar have won a 'Cellar in the Sky' award - not something that you would expect a low cost carrier to win. The meal was served in courses, presented on a tray. 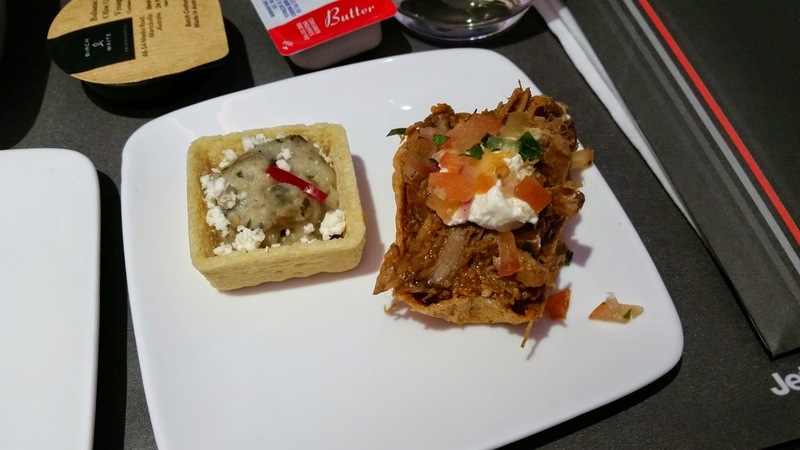 The starter was a baba ghanoush tart and a pulled park tortilla. The pork was great, although the tart wasn't to my taste. It did come with a warmed bread roll and a leafy salad with an olive oil and balsamic dressing. For my main course I had the lamb rump with smashed peas. 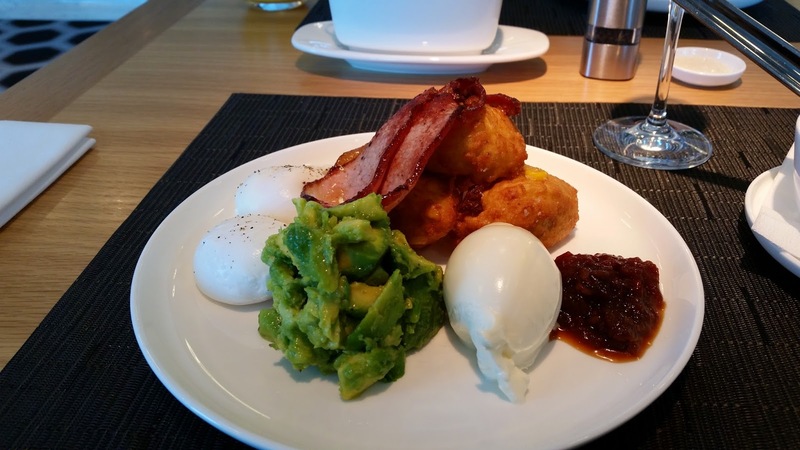 This dish was actually rather delicious, well done Jetstar! My wine was regularly topped up during the meal and once I was finished the main the tray was removed. A short time later the dessert trolley came out. The choice was either a panna cotta or a cheese plate. I am not sure if you could have both, but I was quite full anyway so I just had the panna cotta. I had a lovely Baileys on ice to go with it. The dessert was nice although the passion-fruit topping seemed a little too sweet. By this stage I was desperate for some sleep so I put my ear plugs in, eye shades on, and reclined my seat. Four hours later I woke u and a refreshment was being served! 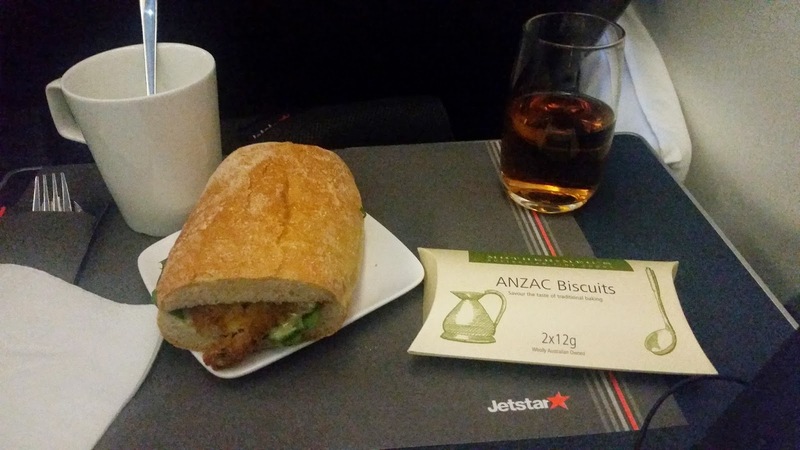 I had the chicken schnitzel sandwich and some ANZAC biscuits. Along with it I had a ginger ale, and later on a coffee. The schnitzel sandwich was tasty and I was incredibly impressed with the standard of catering on offer. You could even order as many snacks like chips, chocolates and pop corn on demand whenever you wanted. 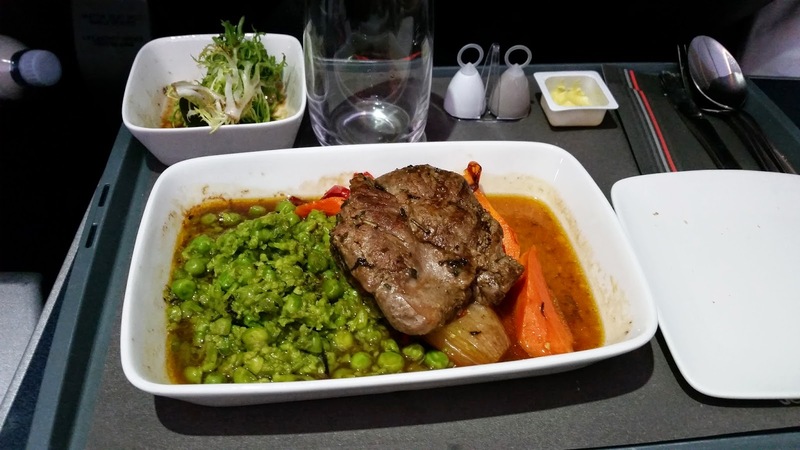 You will not go hungry on Jetstar business class! After the second meal we were about 45 minutes out of Singapore and it was time to prepare for landing. 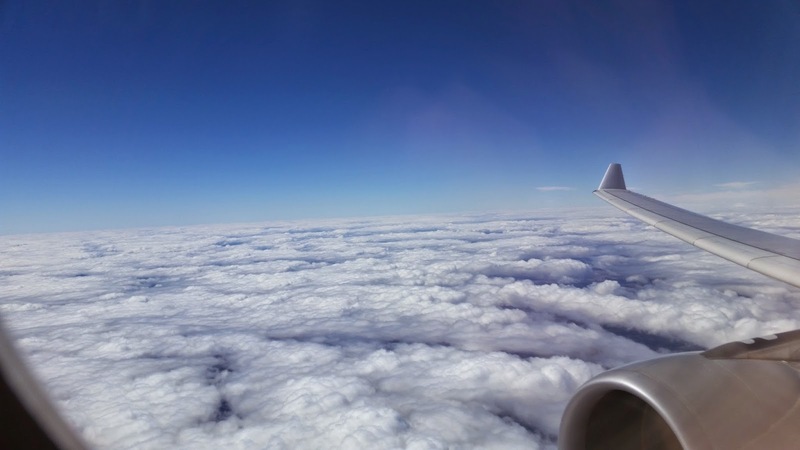 The flight had been quite smooth throughout and the descent and landing were also smooth. We taxi'ed to the gate and arrived about 45 minutes behind schedule. 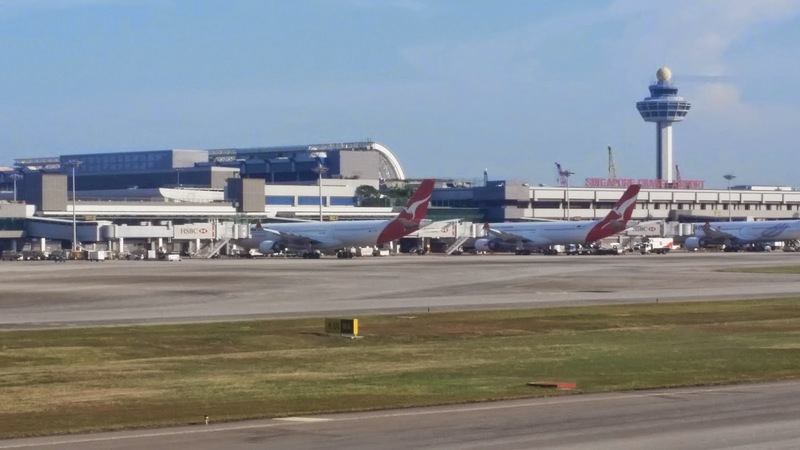 I was staying in Singapore for the night so the delay did not impact upon my schedule, however it may have made a few connecting passengers late. Overall a terrific experience, far better than I expected. I will consider this option again on my flights to Singapore, it's perfectly decent for an afternoon flight. However I would avoid on the overnight flight home and try and use frequent flyer points to get a flat bed on Qantas. 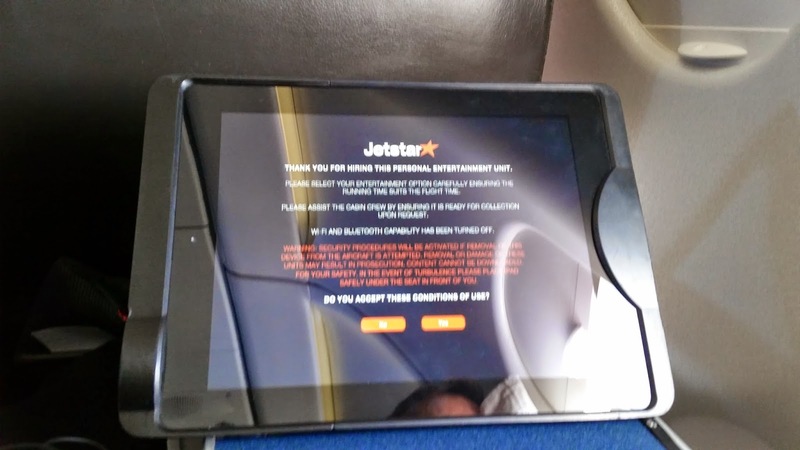 Well done Jetstar! 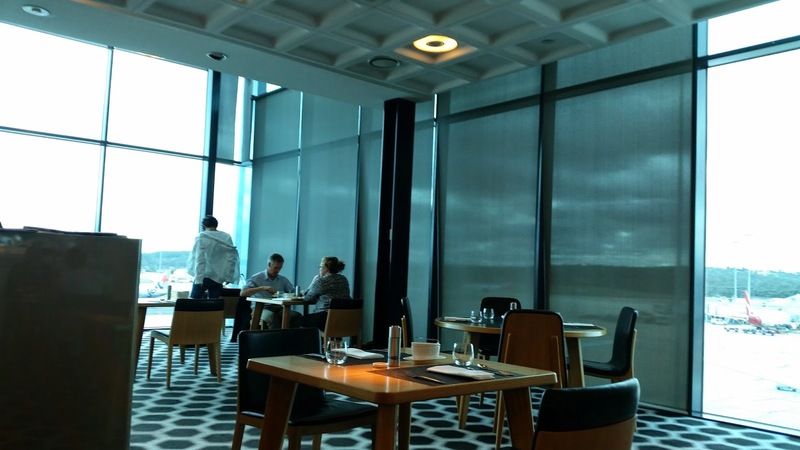 "By 10.25am I was in the luxurious surrounds of the Qantas First Class Lounge - a perk that Qantas frequent flyers get to enjoy when flying with Jetstar, the LCC subsidiary of Qantas"
Really? Haven't flown JQ bus for a couple of years but as a QFF and QC member I thought the business lounge was the only option. Or is the first lounge option only available for Bus Max tickets who are QFF? Good to know as I will be travelling in about six weeks but not on Max. ....just realised you are probably Platinum QFF....silly me. 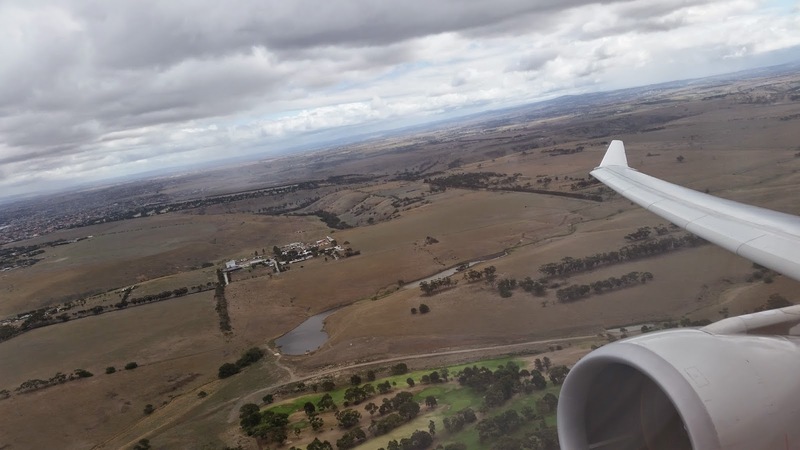 I recently flew on a Jetstar 787 in Business class which was pretty cool. The in-flihgt entertainment screens are ok but they have very limited adjust and it has very little selection.